When people think of debt, they most often think of credit card debt. However, a significant amount of people’s financial worries actually come from some slightly more unexpected causes of debt. Currently, some of the largest contributors to debt are medical bills, divorce fees and settlements, and student loans. There are other known causes of debt but these seem to be the main factors and contributors. Below in the infographic there is a breakdown of how all of these expenses can drain a person’s income and sink them into deep debt. For more information about different kinds of debt or for help eliminating your debt, contact one of our certified credit counselors today. Give us a call at 866-699-2227, the phone call is free and confidential. No matter what the cause of debt may be, we can help! We are a National Non-Profit consumer credit counseling agency that has been assisting individuals since 1968. Lauralynn, this was an interesting post on debt and credit counseling. 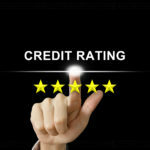 Credit can be really great and beneficial when used appropriately but can also be really damaging when not used appropriately or something unexpected happens. It is really great that there are credit counselors to help people get out of debt. I didn’t know there was such a thing until just now! It’s great to seek out knowledgeable people on this topic, and you sound like you understand what you’re speaking about! Thanks!